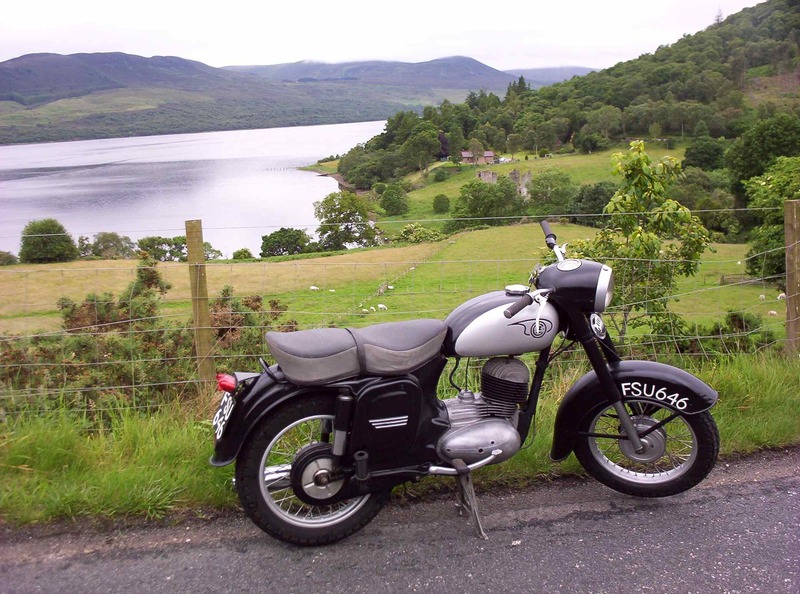 This was my 10th Jawaday ride and my first in the Highlands of Northern Scotland. Had to wait until after lunch when the roads had dried out and left Spinningdale to travel part of the circular Moray Tourist route. I drove west on the A949 alongside the north side of the Dornoch Firth, stopped at St Demhams Cross for a quick bit of local history, its a 9th century Pictish Stone with a Celtic Cross carved on it, and then back on the road and onto the village of Bonar Bridge for a photo. Not a car in sight! (They were all indoors watching the tennis final). Over the bridge, first one built by Thomas Telford, now on its third version, riding into Ardgay and along the A836 on the south side of the Dornoch Firth. At Struie Hill, by the snow gates, is one of the few remaining original AA breakdown telephone boxes once seen all over the UK, only stopped for a photo, bike running fine. Then onward through Edderton where I was passed by Dutch members of a Porsche car club also on a run out with 20 of the machines. 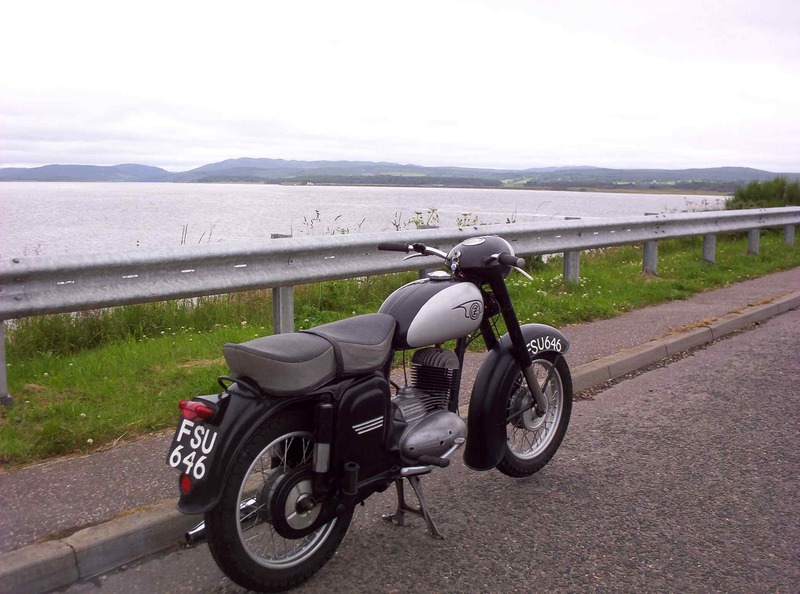 Turned back north onto the A9 and Dornoch Bridge stopped for another photo. Finally back onto the A949 and west through Clashmore and back to Spinningdale. 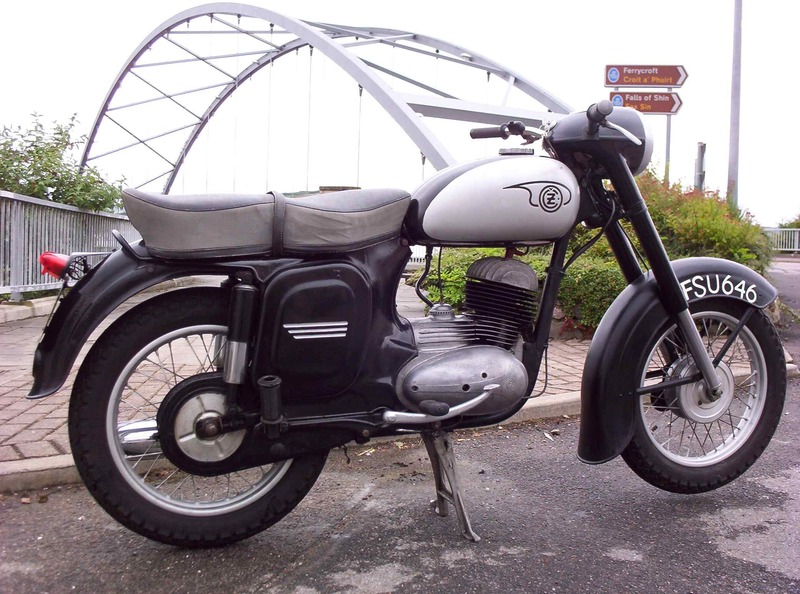 The 1962 CZ 175 enjoyed the run of 27 miles which took about 1.5 hours with stops, great scenery and great fun especially on the empty roads with wide bends, ideal for bike riding!